Most Dermatologists Will Never Admit This Mistake! Most people pay attention to information released by the U.S. Surgeon General and other known experts. The Surgeon General, for example, released the warning that "Smoking Causes Lung Cancer." But what about the warning regarding sun exposure causing skin cancer? Does this mean we should avoid the sun altogether? The warning has many people running inside and avoiding the sun altogether. The American Academy of Dermatology and The Skin Cancer Foundation advocate avoiding all sun exposure. What you won't hear them say, however, is that exposure to the sun's UV rays is essential for the production of vitamin D which increases the immune system, among other benefits. 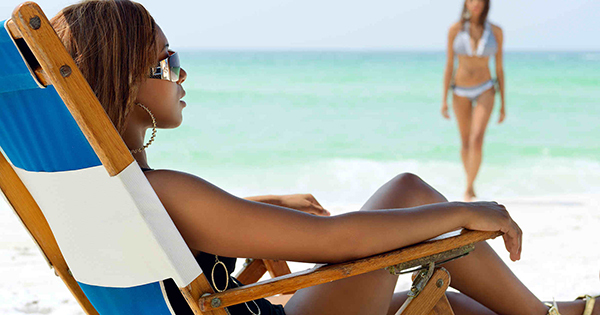 Of course, moderation is important when it comes to sun exposure. The real danger is in overexposure to the sun and sun burning. But avoiding the sun can result in vitamin D deficiency, which has been linked to cardiovascular disease, autoimmune diseases, depression and, yes, even cancer. Have dermatologists made a mistake? The recommendations from the Skin Cancer Foundation and the American Academy of Dermatology is simple; avoid the sun and use sunscreen. According to Dr. Mercola, an osteopathic physician who publishes information about alternative medicine on his web site mercola.com, the message is too simple and puts people in harms way. He stated that only 2 out of 10 melanoma studies found that sunscreen was protective against melanoma. He also believes that exposure to the sun is important for good health and that dark-skinned people, in particular, need more sun to produce sufficient amounts of vitamin D.